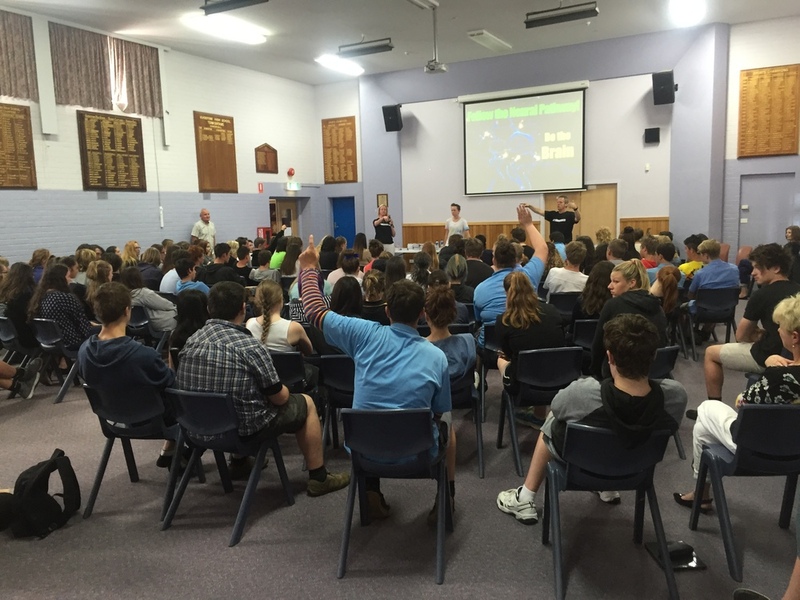 An update to you all as Friday was the final day of our Stage 1 2015 - 10 Day roll out of the Not Even Once Project in 8 Tasmanian High Schools and 2 Community events, prior to end of year celebration's. It has been a whirlwind experience and has brought so much more than I ever could have imagined, via connection with the kids. There are so many examples of the clear impact this project has had on young people, I am simply humbled. Quote from one student when asked what component stuck out to them "All of it I loved it. It gave me an understanding of what drugs can do and affect you not just you but the people around you. It made me think twice about doing any of that"
Also from the Wellbeing Co-ordinator at Scotch Oakburn College "Thank you Tanya and team for some terrific sessions with our students. The students were quickly engaged and the feedback was very positive. Of particular interest to me was how the students reported that your sessions had impacted on their likely behaviour in the future – not even once seems to have struck a chord! Keep up the fantastic work!" There were many responses like these, there were some documented shifts in young peoples thought processes around their likelihood to use alcohol and drugs before and then after the presentations, at that point you would say - Awesome our job is done this project has been a success!. What deeply moved me however, was the intense impact this project would have on very vulnerable people that are on the edge of trying illicit substance to cope with their pain. Our presentation encourages them to truly look to another option rather than seeking substance and talking to someone is the first step. One young man, came forward to speak with me after a session with tears falling down his face. His demeanour was so broken and beaten down, his hair was over his face like a physical wall between himself and the outside world - it simply broke my heart just looking at him. He opened up and explained the extreme emotional pain he was in and shared just how scared he was that he would fall into substance use to help deal with that pain. He told us that he had no sense of self worth that he was useless and hated himself. He simply isolated himself from everyone and everything to cope. It was an honour to sit with this brave young man and talk with him about the enormous step he just took to come and speak with us. To show him the enormous gifting he has and the future he does have awaiting him. That there is a brighter future than the darkness and isolation he was surrounding himself in and just how much I admired him for having the courage to come and speak to complete strangers about his situation, that this step was an important one for his future. What was by far the most rewarding however, was the smile and eye contact he was sharing by the end of our time together. We have spoken to the staff and the school is doing what they do best and has kicked in higher support around him and we are exploring with them additional support for this young man from our networks too. #notevenonce is so much more than just a Drug and Alcohol Demand Reduction Seminar - this is truly a lifeline for some kids to understand they are of value and there is another way to deal with hurt and pain than burying it under substance. As a valued supporter, volunteer, financial partner, prayer partner and friend we wanted to Thank you for your support in making this project happen. 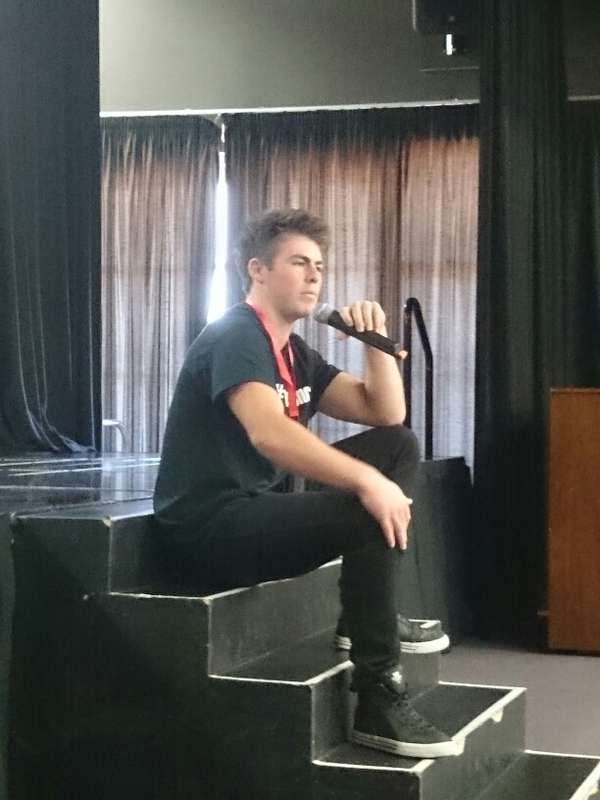 We ask for your continued support as the Not Even Once project will continue until we have been able to speak with every Tasmanian School Student as early next year we roll out again - then comes Stage 2 - empowering our young people to become positive change agents in this space - within their peer groups, homes and communities. Without your support we could not reach these kids and it is thanks to you that their worlds are being touched for the better.